Posted in: Daily Posts. 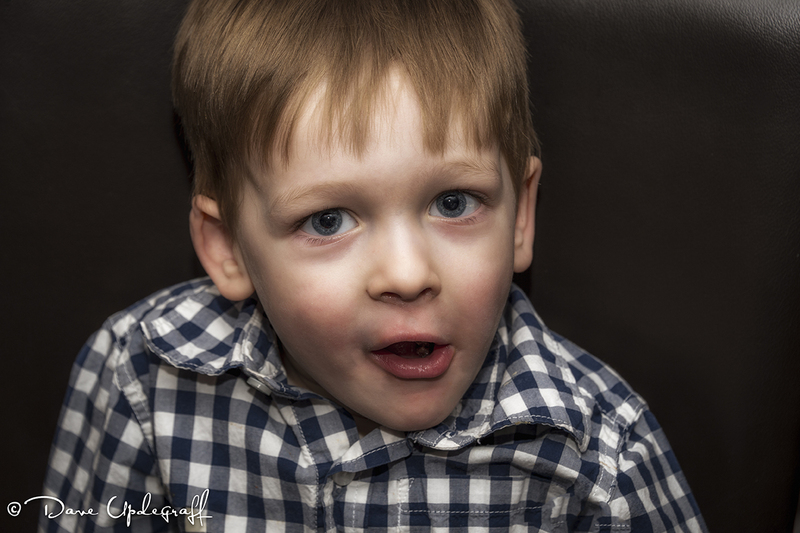 Tagged: Birthdays, Children Photography, Grand kids, Photography. Enjoyable weekend. Gathered lots of material for the blog. So much to show and so little time to show it. Saturday the weather was pretty nice and not much wind so I did something I’ve wanted to do for awhile. I flew both Phantoms at the same time. I ran the Vision 2 up to 385 feet and let it hover there and the took the Phantom with the gimbal up to take some video of it. I was getting a lot of interference from the goggles so I couldn’t tell where the vision 2 was. So after bringing them both down to around 175 feet it was much easier to take some video of the Phantom flying. Kind of cool actually. I’ll show that later in the week. Ms. Gabby celebrated her birthday Saturday. It was actually on the 26th but her party was on Saturday. With 4 loving Grandparents and 3 doting Uncles she does not want for attention or gifts for that matter. It was hard on Josh watching Gabby get stuff. He has always been the one to open all the presents and have all the attention focused on him and it’s hard to understand for a 3-year-old that wasn’t all for him. He did end up playing with almost all the presents she got but he was a good sport and handled it pretty well. I told Angie she was the same way when it was Mark’s birthday she would play with his toys before he ever got a chance to play with them. It was a very nice party and a great dinner. 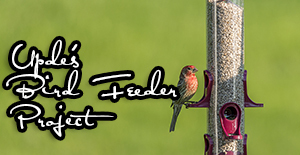 Thanks for stopping by the blog today. I hope you enjoy your Monday. Be careful. Posted in: Daily Posts. 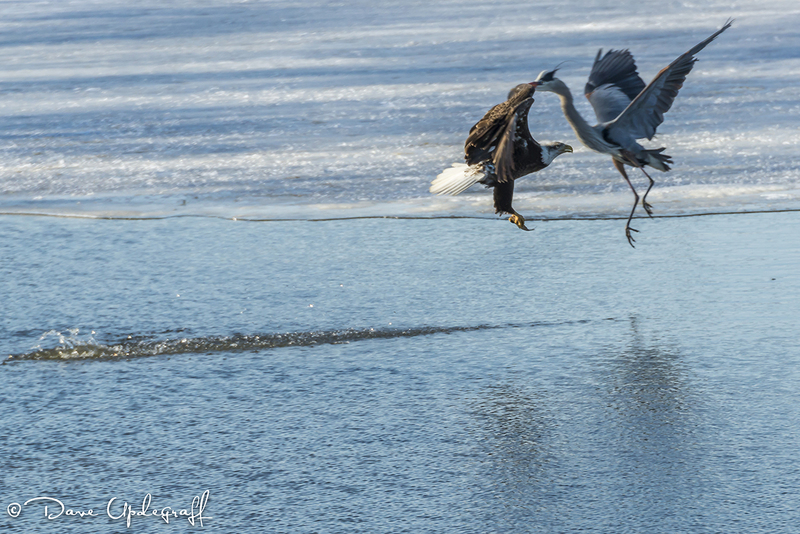 Tagged: Eagle Photography, Heron Photography, Mid-Air Collision, Photography, Wildlife Photography. Anyway aside from the poor quality it is a an amazing image. Their wings actually did touch. The eagle caught a fish the Heron was stalking and the Heron was pi**ed. This is the only time this has happened to me and I couldn’t let it go without showing you. I pitched my project to one of the people I really need to contribute to the success of the project and her answer was YES! So I’ll be talking about the project more in the coming days but I am really excited about it. Posted in: Daily Posts. 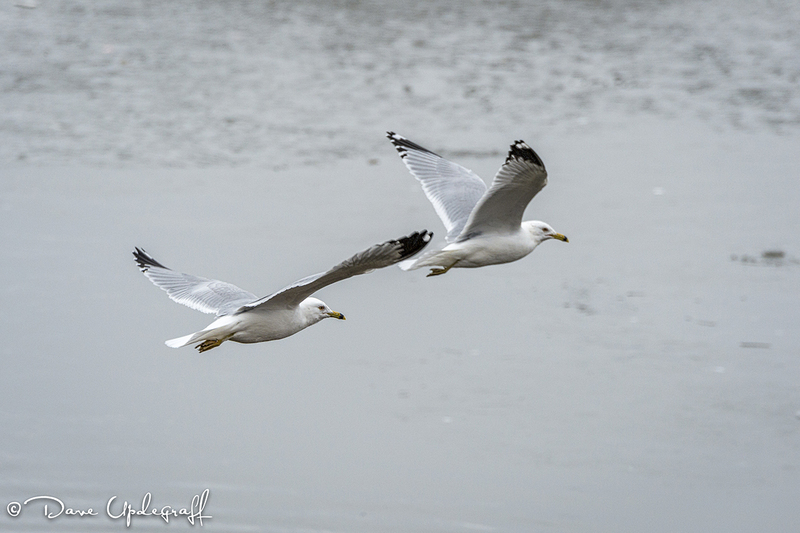 Tagged: Mississippi River, Photography, Ring Billed Gulls, Wildlife Photography. 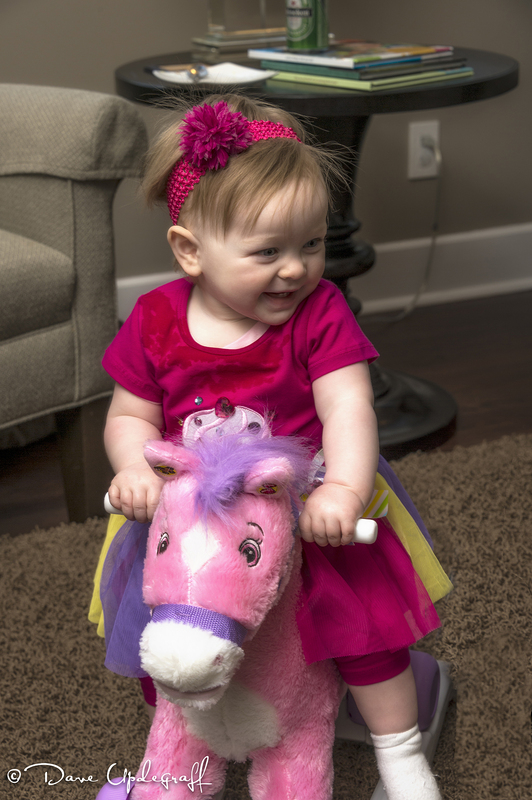 I missed the opportunity to wish Ms. Gabriella Grace Roling a special one year old Birthday yesterday. Jeanne and I did get to see her (via Skype) last evening and wished her a Happy Birthday. 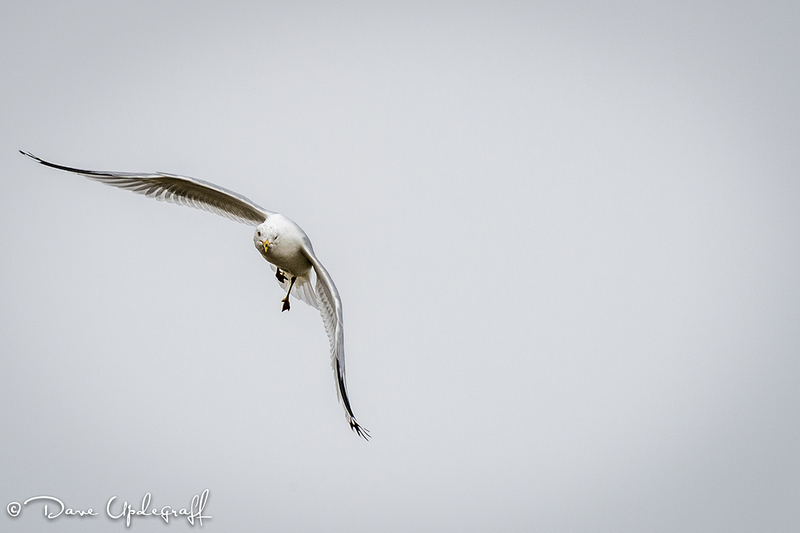 Today’s images are all about the ubiquitous Ring-Billed Gull. They are fun to watch and a little tricky to capture images of because of their constant motion and size. They are plentiful at the 16th Street Basin and along the Mississippi. Yesterday I and several members of our Culture team went to Cedar Rapids and provided lunch for the staff of our new branch. Actually it is a complete make over of our existing bank, but it was a total transformation. So yesterday was moving day for the staff from the temporary trailer bank to the beautiful new facility that will officially open today. We helped move a few boxes and the provided lots of pizza for the staff and the construction crew who are frantically trying to get things those last things minute things ready for today’s business. We have the opening celebration later in April but they’ll be doing business out of the new building today. As usual on the way back from Cedar Rapids I was looking for things to capture with my camera. It is such a bleak time of the year for scenery shots. Everything is brown, the trees are bare and what little snow is left is dirty and disgusting. Posted in: Daily Posts. 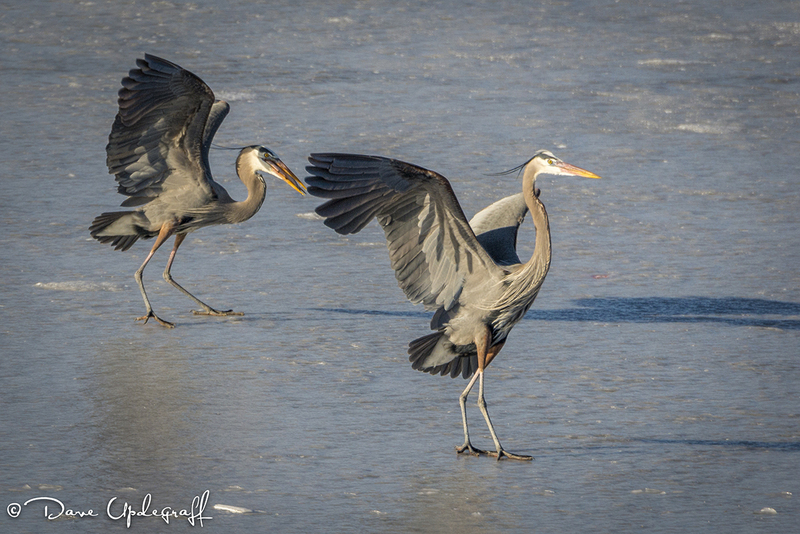 Tagged: Blue Herons, Eagle Photography, Great Conversations, New Project, Thought Provoking Conversation, Wildlife Photography. I’m sorry. I still have a lot of images from two weekends ago at the 16th Basin and since (other than yesterday) I haven’t done much still photography I’m going to show you some more eagles and herons. Interesting day yesterday filled with frank and stimulating conversation with a variety of individuals. Gave me much to think about and reflect on. At some point I will share the content of those conversations but for now just know that they were thought-provoking and very enjoyable. I have decided on a project that I am going to work on in the coming year. It has taken me almost three months to finally figure this one out. I can tell you that it is going to be an ambitious project to say the least but one that if I can do it correctly may yield some of my most satisfying work yet. I have some people to talk with and some permissions to get but I think those will be readily available. Anyway this new project should take about six months to a year to complete and involves video, flying, still photography, extensive video editing, interviewing, research, and a bunch of other skills. But it promises to be fun and enjoyable so I’m ready to get started. 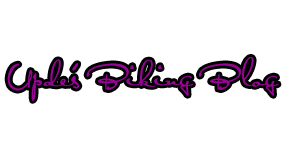 Once I have all the details and permissions finalized I’ll share with you what the project is. In my mind right now it will not be as difficult as the 365 project was. So that’s it for today. A lot of ambiguity I know but I’ve got to have a hook to keep you coming back. I hope you enjoyed the wildlife images today. 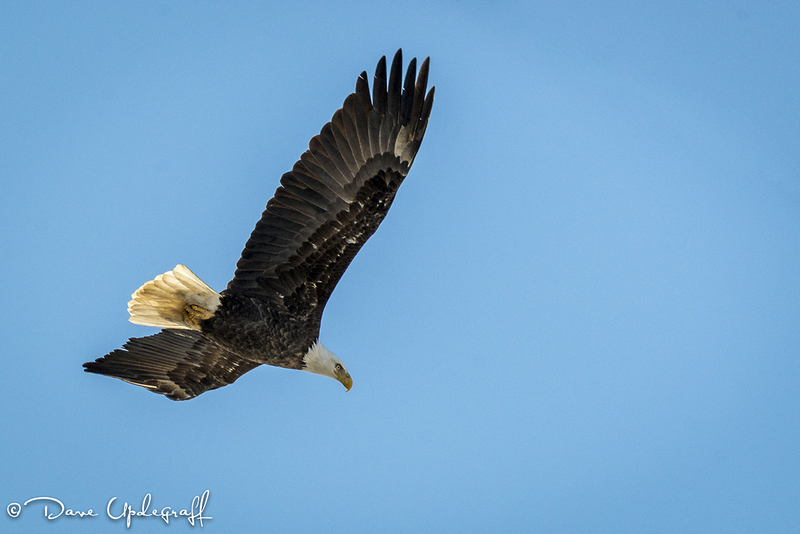 I do love to photograph eagles. I understand from my friend Andreas that many species of wildlife have migrated into the area of late so it’s time to get out and see what I can find. Thanks for stopping by. Enjoy your midweek hump day and be careful. Posted in: Daily Posts. 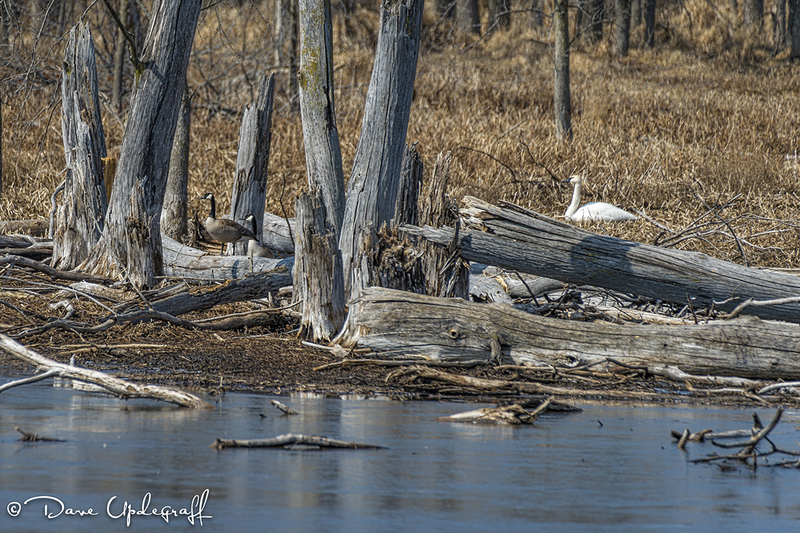 Tagged: Geese, Photography, Swans, The Duck Pond, Wildlife Photography. A couple of my friends asked me what happened over the weekend because not only was there no blog on Saturday or Sunday but none yesterday either. Well as much as I hate to admit it I never touched a camera the entire weekend. That is with the exception of the Phantom’s camera. As you may recall one of my laments about the FPV (first person view) set up on the Phantom requires me looking at my iPhone (very small and hard to see in the sunlight) or a 7 inch monitor, which is also somewhat hard to see in bright sunlight. Enter a product called Fat Shark Goggles, which in essence puts two small TV screens in a pair of goggles and then you can see exactly what your camera is seeing. So Saturday I spent most of the day reading material about how to install the transmitter on the Phantom and use the Phantom’s own power supply as opposed to having a secondary battery power supply. Between reading, watching videos, making diagrams and doing the actual wiring it took me most of Saturday to accomplish. Mix in there 4 flights to test the equipment and a visit from Angie, Josh and Gabby and that pretty much took up the whole day. Then Sunday was reserved for a couple of well-earned naps, some more flight tests and finally a night flight around the neighborhood. So I’ve got probably 15 Gb of video of the Phantom taking off from our back concrete slab, rising to a height of 300 – 500 feet, a couple of 360 degree turns and then a landing. I don’t think you want to see that over and over again. So come Monday morning I didn’t have anything worth showing. Yesterday on my lunch break I grabbed a bite and then off to the duck pond. There were not as many birds there yesterday as there has been last week. Only 3 swans and maybe 30 – 50 geese. 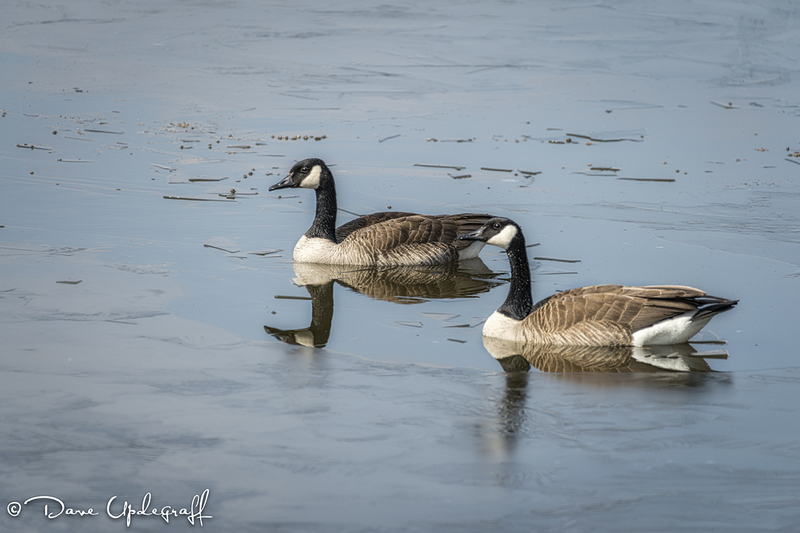 The two geese in the first image were sort of stranded in a small open pool of water surrounded by ice from the morning’s cold temperature. The second image is of a lone swan (perhaps nesting) I hope. I am excited to see if we get some more cygnets again this year as I will enjoy photographing their development. 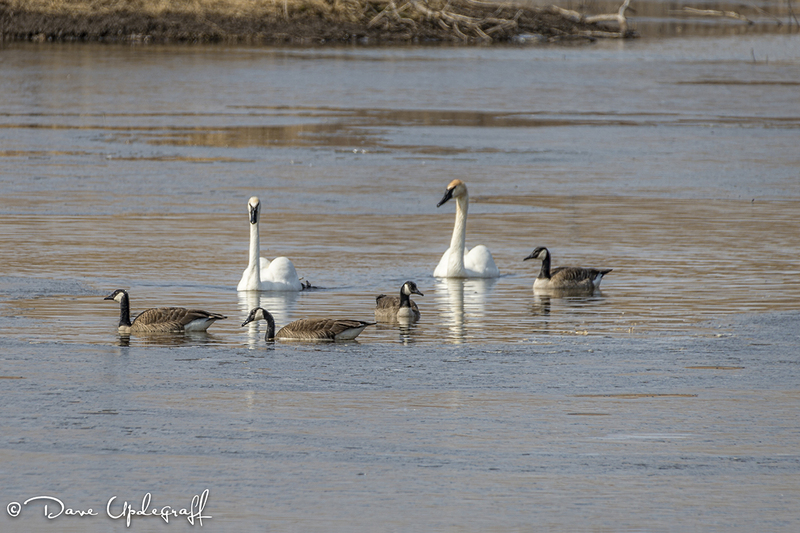 Finally just a pair of swans intermingled with some geese. Life at the pond was peaceful and relaxed yesterday. I think most of the territorial disputes have been settled for the time being. As soon as warm weather arrives I’m going to attempt a fly over of the duck pond. I think it will make an interesting video. So that’s it for today. I hope you enjoy your Tuesday. Thanks for stopping by and be careful. Posted in: Daily Posts. 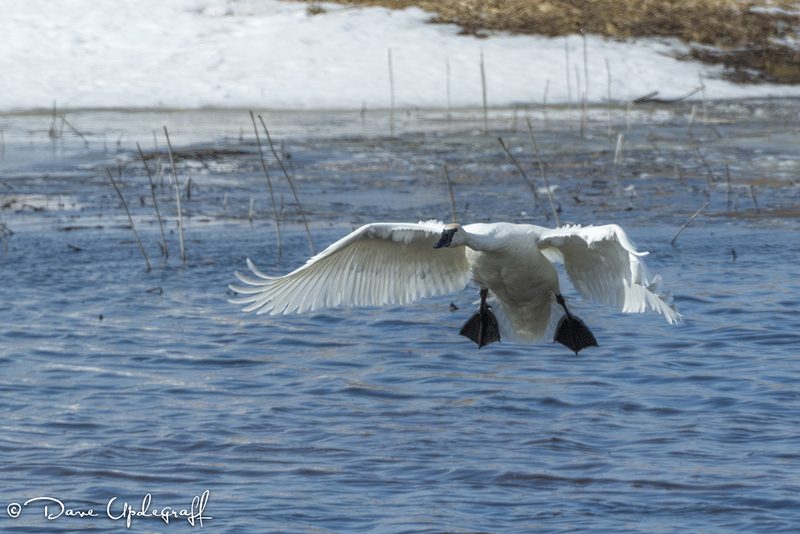 Tagged: Duck Pond, Phantom Flights, Photography, Trumpter Swans, Wildlife Photography. Today is the first day of Spring – 2014. Yesterday morning I awoke to a fresh layer of snow, about an inch, which made the morning commute enjoyable. By the time I got South of the airport it was like it never happened. 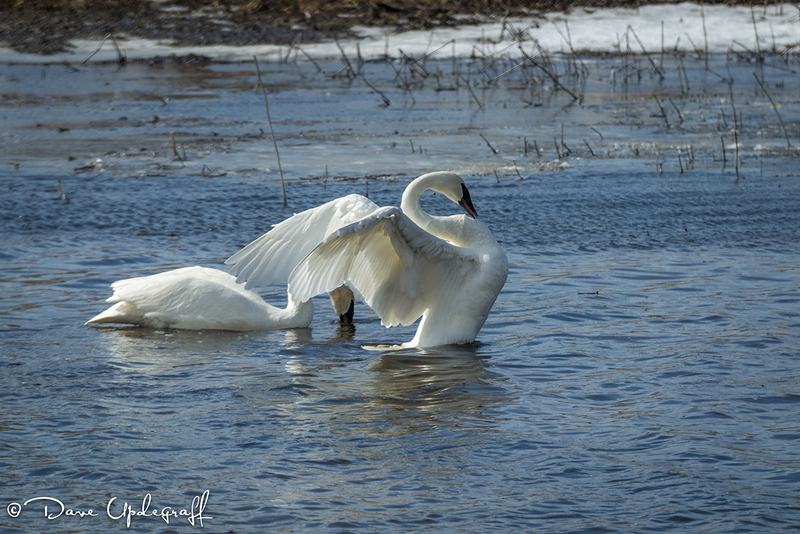 I’ll finish up the week with some more swan images. You remember earlier in the week I showed you the territorial dispute between two male swans. 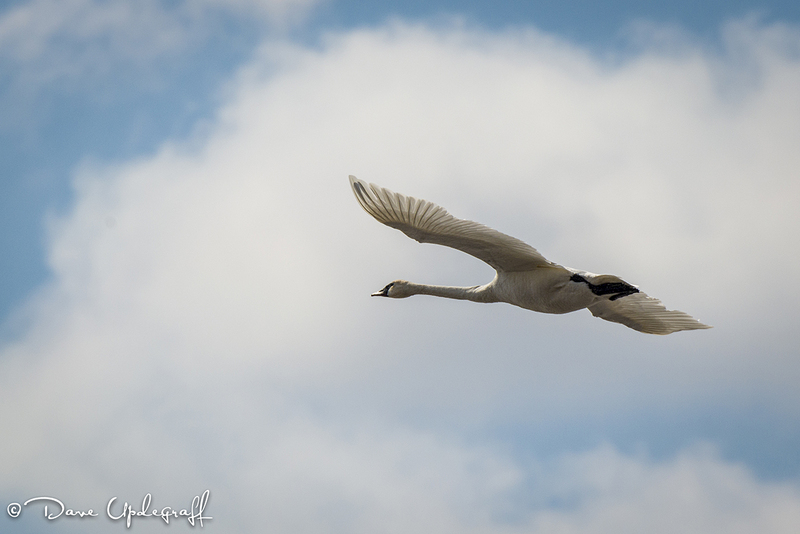 After the skirmish the victorious male swan flew over his domain as if to survey all that he was master of. The next image is of him setting up for a landing. 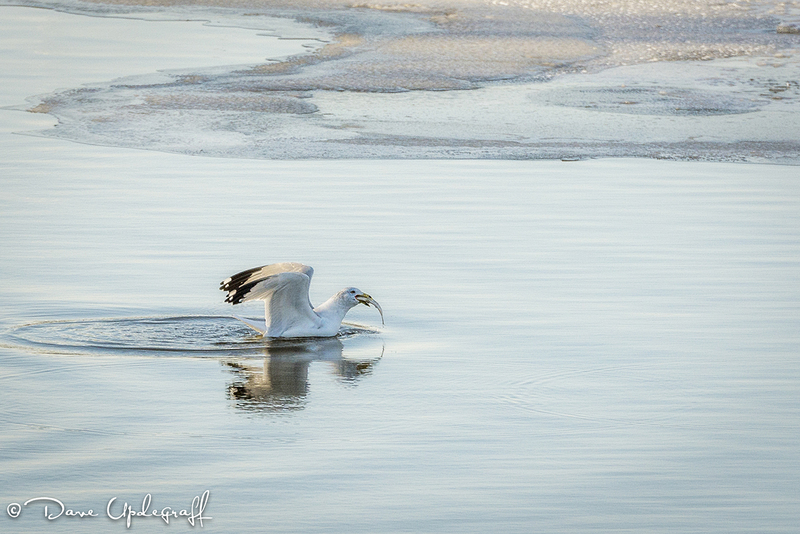 Full flaps as he creates a massive amount of lift with those huge wings and lets him settle onto the water softly. When I got home last evening the winds were calm. There was plenty of sunlight left and the temperature was a balmy 46 degrees. So after greeting my bride I grabbed Phantom – 2 and took it out to the back patio for a quick flight. I wanted to show you the 4 minute video but didn’t start editing it until this morning and of course that means not enough time to get it finished. Maybe tomorrow. That’s it for today. 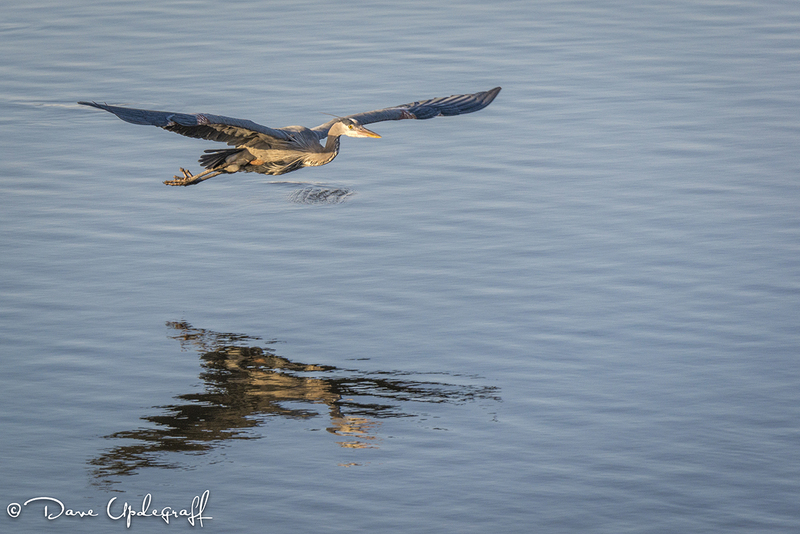 I still have several hundred images of eagles, herons, swans, and ducks but I’m going to take a break from them and look for other subject matter. Too much of even a good thing is not necessarily good and doesn’t help you to grow. So maybe I can find something interesting this weekend. If the weather is nice I’d like to practice some more flying techniques other than just going up to a high point, turning around a couple of times and then back down. Next week (weather permitting) I would like to do a slow fly over the duck pond. I think that would make a great video. Thanks for stopping by. Enjoy your TGI Friday and be careful. Posted in: Daily Posts. 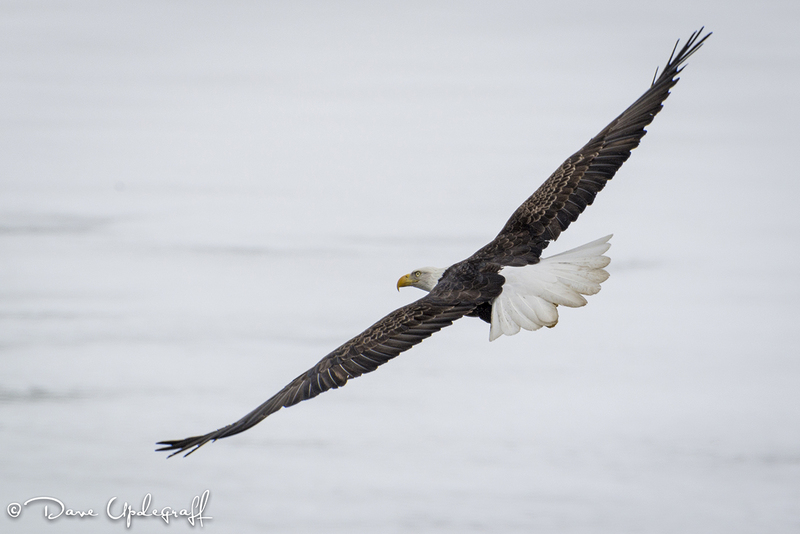 Tagged: Eagles, Inspiring People, Photography, Wildlife Photography. I only have one image for you today but it is one of my best from the last couple of outings at the Basin. 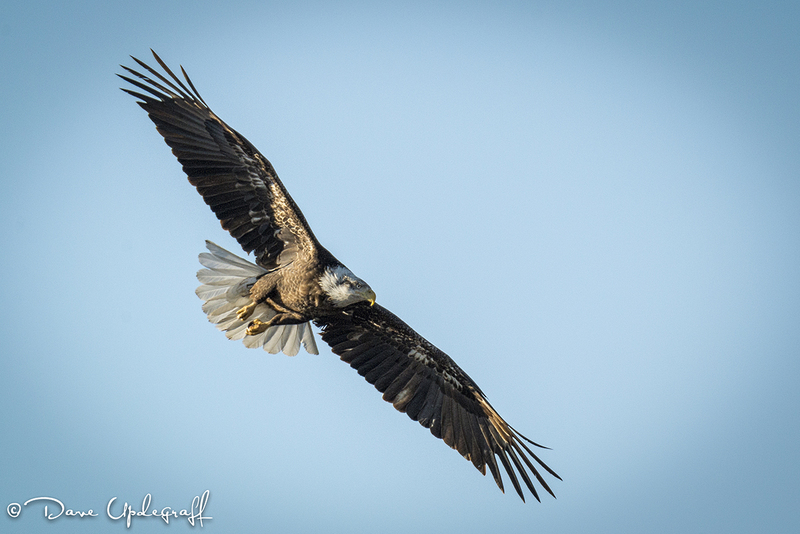 If you have followed this blog for very long you know of my love and interest in eagles. I could watch and photograph them every day and not get tired of it. Yesterday I had a great experience. Over the years I have worked with many company representatives, some of whom did a good job and others, well not so good. One of my favorite representative, Bryan got promoted up the corporate ladder and I haven’t seen him in over a year. He is one of those guys that you can tell has a vision of life and a passion for doing things the right way and I always felt he helped inspire me to do better work. Last week he called and wanted to know if I could have lunch with him. So yesterday we had lunch and spent about 70 minutes just catching up on what each of us has been doing. I am so happy for him and his new role in his company. You can just tell by listening to him and watching the way he works that this is not a job for him it is his way of living. He is a marathoner, well-rounded athlete, and a great family man. It was pure pleasure to visit with him again. Later in the afternoon I went to DeWitt to visit another friend of mine, Mick. Mick was in a terrible accident a few months ago, which left him paralyzed from his waist down. He is back in the hospital since January and has to have more surgery and other procedures done and will spend another month or two in the hospital. Through it all he has had an optimistic outlook and has retained his sense of humor. As I talked with him and listened to what he has already endured and what he as yet to endure it reminded me of a saying that goes… Write down your biggest problem or obstacle and pin it to a wall. Ask 20 people to do the same and the odds are you’ll take your problems back over the others on the wall. So a really great day. I got to share a small part of the lives of two great people and I am much better off today as a result of it.